Since this blog is mostly dedicated to Smartphones, Laptops and related products. We shall list the different types of MediaTek Chips (MT, MTK) and also supply an example of the Devices that support it. For more information about MediaTek Inc and their product visit Wikipedia or Mediatek web Page. Before the emergence of Multi-core processor, having a single core per chip was the norm for microprocessor manufacturers, what this implies is that a single core processor can only execute a single thread at a particular time. LG Optimus L4 II, LG Optimus L5 II. Dual core CPU is designed to accommodate two independent microprocessor on a single chip, this technology enables a processor to carry out two executions simultaneously, this means the CPU does not have to wait for the current operation to finish before starting another. Panasonic T9, Micromax Bolt A064, Huawei Ascend Y600, Allview A5 Smiley, Tecno H5, LG L50, HTC Desire 210, ZTE V795L, Acer Liquid Z200, Wiko Lenny, Obi Falcon S451, Cubot C10+, Leagoo Lead 4, BLU Dash 5.0, Philips S301, Oppo Joy, Gionee Pioneer P2S Etc. Apparently, it's the successor to the Dual-core Processor architecture, this design realized more speed and processing power by integrating two separate dual core into a single chip. The four cores can execute operation independent of the other. it marks the threshold of the multicore processor race. LG K5, Lava X3, Wiko Lenny 2, QMobile i6i, Cubot Note S, Ulefone U007, Jiake M, Vivo Y21, Wiko Sunny, Symphony H60, Sony Xperia E4, Innjoo Fire, Tecno Boom J7, Tecno H6, KingZone S1, LG Q10, Eton P3, Voto X2, THL L969, Oppo R1, Gionee M2, Xolo Prime, Neo M1, Fly Era Life 4, ZTE Blade, TCL Joy, iNew l700, iMobile lQ X3 Etc. A Hexa-core processor is made up of six cores with improved abilities, it could split task among individual core to increase efficiency. 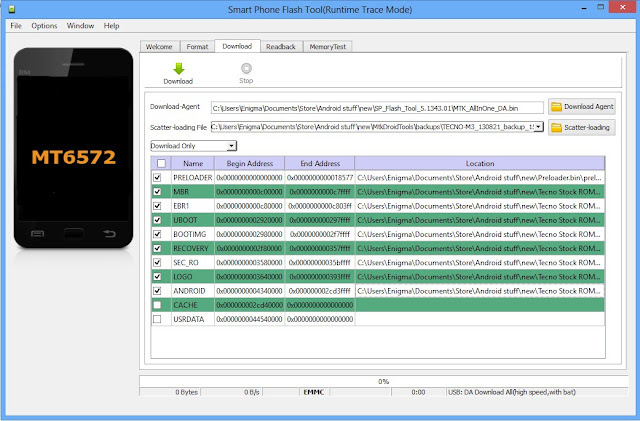 Gfive Tango7, iNew V8, Gionee Gpad G5, Amoi A955T, Allview P7 Seon, Walton Primo RX2, Micromax A190 Nibiru H1c Etc. As the name implies, An Octa-core processor is one with eight independent processor or two sets of Quad-core designed to function as a single chip, it's more efficient in carrying out advance task compared to its predecessor. BLU Life 8, Pomp C6S, iOcean G7, iNew l600+, TCL Idol+, Tengda L8, Bluboo X2, Coolpad 9976A, Auxus One, PiPO Platinum T8, Cubot X6, THL T11, Ecoo Focus, UMI X3, JiaYu X3S, Vifocal W92, O+ Air, Otium P8, Obi Octopus S520 Etc. MediaTek happen to be the pioneer of Deca-core microprocessor architecture with the introduction of Helio X20 succeded by Helio X25and Helio X30 respectively, a Deca-core processor utilize 10 independent cores on a single SoC to render better performance, technically the processing speed is very high when compared to other cores. Xiaomi Redmi Pro, Meizu Pro 6, Elephone S7, Doogee F7, Vernee Apollo Lite, Zopo Speed 8 Etc. There are different types and versions of MediaTek Flashing Tool in the Market, some free some are not, however, they all serve the same purpose of writing firmware on Smartphones that are powered by MTK Chips. Below is a guide explaining how to use SP Flash Tool to Flash any MediaTek Device. • Switch Off your Mobile Phone and Remove its Battery. 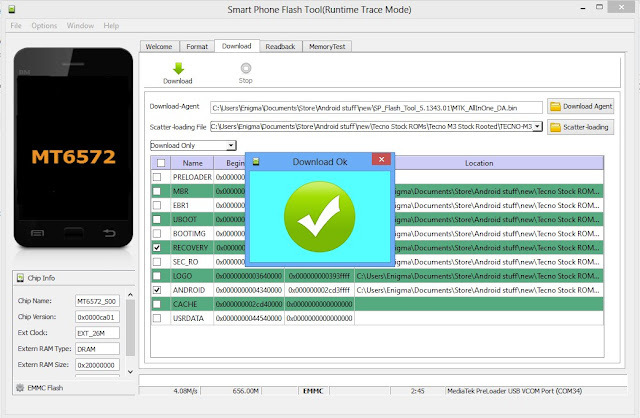 • Download and Flash your device with a different firmware. (Do this if your device flashed successfully but not coming on). • If all of the above fails Service your Phone Motherboard and USB Port and Try again.